Turner Broadcasting has appointed a senior executive from UK channels operator UKTV to maximise revenue across its European networks. Dan Fahy has been named senior director of commercial development for UK and Northern Europe at Turner. He was previously director of commercial and business development at UKTV and has also worked at Eurosport and Red Bee Media. The newly created role charges Fahy with leading Turner’s commercial strategy in the UK and implementing initiatives in Sweden, Denmark, Finland and Norway alongside the local teams. One of his key objectives is to implement digital distribution strategies including VoD services, OTT and other non-linear platforms. His work to maximise revenues will cover all Turner’s channels in the region, including Cartoon Network, Boomerang, TruTV and TCM. 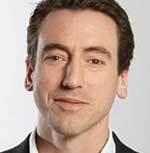 He will be based in London and will report to Ian McDonough, Turner’s senior VP and MD for Northern Europe.